Over the past few years, the fantasy sports betting industry has quickly gained traction, with companies like DraftKings and FanDuel quickly accounting for large portions of advertising revenue and seeing their popularity increase from year to year. Debates have emerged regarding both the legality and the future of fantasy sports betting as a whole. Now, it has started getting attention at the federal level, and Congress is set to hold a hearing on Wednesday that could begin impacting the discussion of sports betting even further. The House Subcommittee on Commerce, Manufacturing and Trade will hold a hearing titled “Daily Fantasy Sports: Issues and Perspectives” at 10:15 a.m. ET Wednesday at the Rayburn House Office Building. It is an informational hearing that will focus on the legal controversies surrounding daily fantasy sports, the key consumer-protection issues and whether federal oversight is needed. A committee source and published statements from witnesses indicate that a broader look at the prohibition of traditional sports betting and online gambling laws also will be part of the discussion. In addition, the four major sports leagues (NFL, NBA, NHL, MLB) were also extended invitations to the hearing, but declined. FanDuel and DraftKings also declined to attend, instead allowing the Fantasy Sports Trade Association to speak on their behalf. It is interesting to note that none of these main parties decided to attend, especially given how intertwined they’ve become with one another. Each of the aforementioned sports leagues are connected with FanDuel and DraftKings in some way shape or form. Like the NBA, the NHL and MLB also hold equity with FanDuel. While the NFL is the only of the four leagues to not hold equity in either DraftKings or FanDuel, 28 of the 32 teams have some form of marketing or sponsorship deals with the companies. Meanwhile, Dallas Cowboys owner Jerry Jones and New England Patriots owner Robert Kraft each have equity of their own in DraftKings. Both DraftKings and FanDuel have stopped taking bets in New York after clashing with the state’s Attorney General Eric Schneiderman. Virginia is one of three states, along with Indiana and Tennessee, to legalize daily fantasy. U.S. Rep. Frank Pallone, a Democrat from New Jersey and the ranking member on the House committee, requested the hearing in September, after a barrage of daily fantasy advertising hit the airwaves and FanDuel and DraftKings came under fire for allowing employees to compete in cash games on other sites. He sent a letter to the Federal Trade Commission in November, stating that any investigation into daily fantasy sports should include professional sports leagues. Pallone also has introduced a bill to amend the federal prohibition on sports betting, known as the Professional and Amateur Sports Protection Act of 1992 (PASPA). The bill has not gained much traction, though. PASPA prohibits state-sponsored sports betting in all but a few states, most notably Nevada. However, Americans are betting on sports more than ever, primarily online with illegal offshore sportsbooks and independent local bookmakers. The American Gaming Association estimates that Americans wagered $149 billion on sports in 2015, with only $4.2 billion bet at Nevada’s regulated sportsbooks. 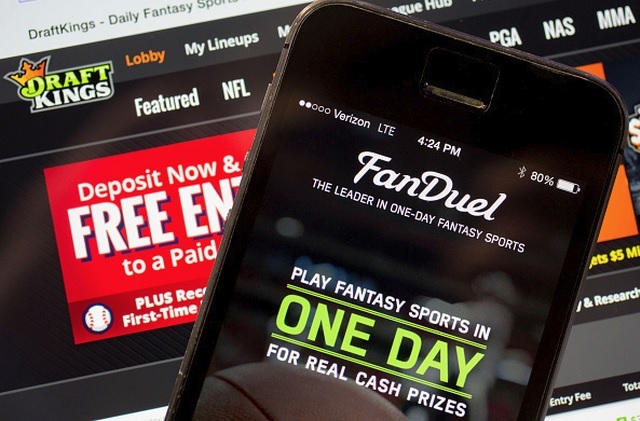 By comparison, daily fantasy industry generated $3.4 billion in entry fees in 2015, according to research firm Eilers & Krejcik Gaming, and an estimated 56.8 million people participated in fantasy sports in the U.S. and Canada. Based on the amount of moving parts, this looks to be an ongoing conversation that does not seem to be too close to a resolution anytime soon. But as these companies continue generating the revenue that they do and increasing in popularity while gradually becoming a part of the mainstream culture of sports, it is only a matter of time before a consensus much be reached in some way, shape, or form. Wednesday’s hearing on the fantasy sports industry is set to be streamed live on the House Subcommittee’s website.